With the celebration of Lunar New Year, many Asian families gather to share family and cultural traditions that have been passed down through the generations. Being in Korea this Lunar New Year, I am sharing this recipe for rice cake soup which is made by Koreans for family and visiting guests. 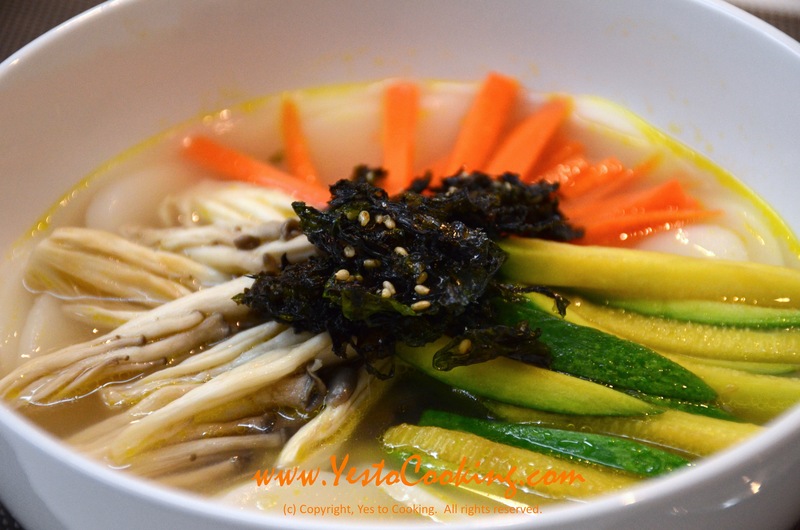 As it is typical for some Asian families to start the New Year celebrations with a vegetarian meal, I’ve kept this recipe using vegetable broth. However, this can be substituted with any other stock/broth. While the history of this rice cake soup makes it a seasonal dish, it is actually enjoyed by Koreans at all times of the year and can be found in many restaurants. Wishing everybody good fortune and health in the new year! 새해 복 많이 받으세요! 1) Cut the bottoms of the small oyster mushrooms to remove the stem. Gently rinse and pat dry. 2) Rinse the rice cakes and pat dry. 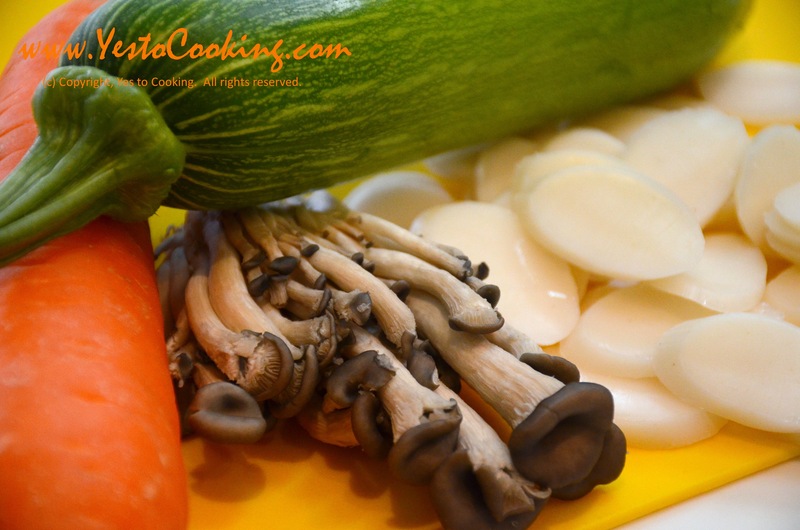 3) In a pan over medium heat, add oil and cook the the zucchini and carrot until softened. Add mushrooms and cook thoroughly. Remove from heat and set aside. 4) Bring water and vegetable broth to a boil over medium heat. Add rice cakes and cook until softened. 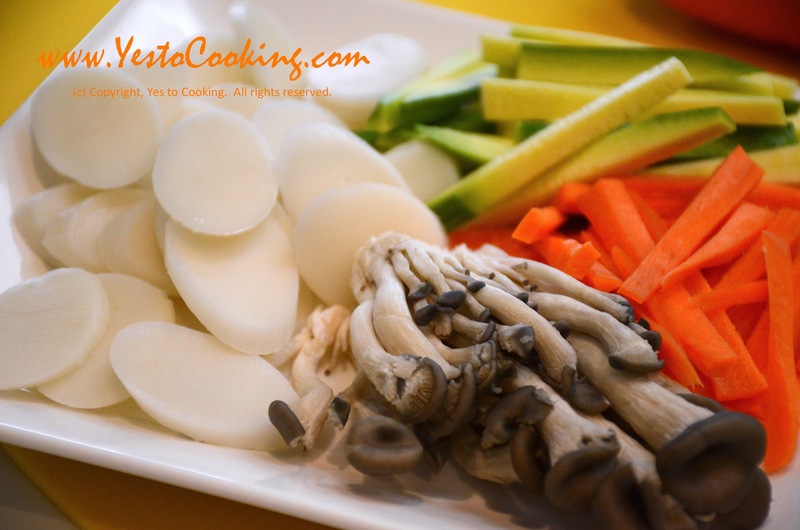 5) Serve in a bowl and place cooked vegetables on top. Garnish with dried seaweed and a drizzle of sesame oil. 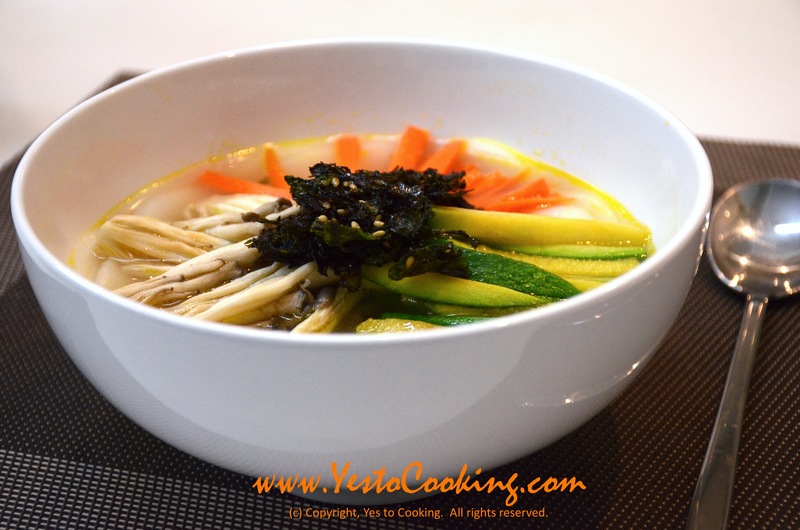 Tags: cooking, ddukguk, korean, korean soups, new year korean food, tteokguk, vegetarian. Bookmark the permalink.